The modern San ethnographers uncovered testimony that rock art of the most admired and revered animals was a way of mystically connecting with the spiritual power the animals possesed. It's hard for moderns to set aside all their training and beliefs to imagine a new world where language, art and religion have no precedent, where large, fast, powerful animals are the most fascinating beings in all the world. Killing animals and eating them, according to our best information, led to a mythology of reverence for animals, of rebirth, but also a belief that humans and animals shared the same life power. The animal flesh became human flesh. The animal spirit was the human spirit. When flesh died, it merged into the earth. Going underground to see and paint the animal spirits down there may have taken a similar kind of courage it took to kill a mammoth. Shamans, which in Paleolithic times may have been anybody, were dreaming themselves into the mystery and bringing part of it back. The caves were the parchment, may have been the place of awakened visions. The painted animals are not so much a message as they are a direct perception of the force of life. In a sense we can say the Paleolithic is no longer pre-historic, because the people left a record. We have trouble reading it, but all one has to do is look at the paintings to appreciate the work of our ancestors who left these images of their own profound amazement. Whatever the motivation, everyone now agrees, the result was art. 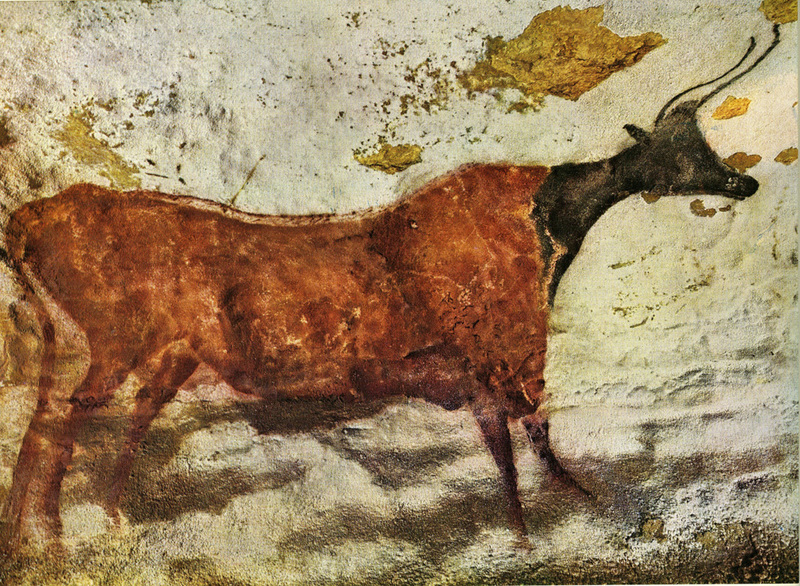 Prehistoric Painting: Lascaux - or the Birth of Art, text by Georges Bataille, photos by Hans Hinz, Claudio Emmer. Albert Skira publisher, Switzerland, 1955.